Control4 Dimmers allow you to replace any "dumb" dimmers with sleek, sophisticated dimmers that will provide elegant control of the lighting inside or outside of your home. The Control4 Wireless Adaptive Phase Dimmer is available from Creative Audio in Winnipeg, your Authorized Control4 Dealer. 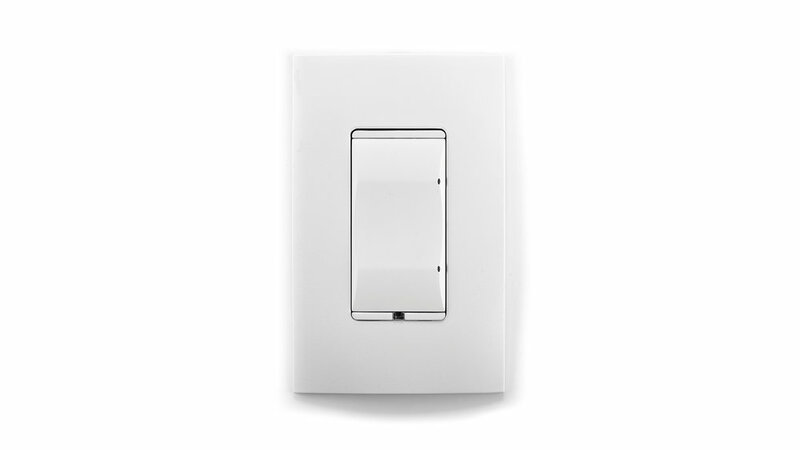 Replace a standard light dimmer with this, a fully customizable dimmer that will allow for control beyond just your lights. The custom-engraved button not only identifies which light the dimmer controls, but can be backlit for easy readability regardless of the the time of day or ambient light level in the room. The Control4 Wireless Adaptive Phase Dimmer is compatible with a broad range of dimmable load types including most LEDs, incandescents, halogens, electronic low voltage (solid state) transformers, magnetic (iron core) low voltage transformers, fluorescents, and compact fluorescents. Note: The Control4 Wireless Adaptive Phase Dimmer is not sold as a standalone product, but rather as part of a complete Control4 system. Its interface and functionality is custom programmed by our trained and certified Control4 programmers. For more information on how Control4 can be integrated into your home, please complete the form below, and one of our team will be in touch with you shortly! Are you interested in the Control4 Wireless Adaptive Phase Dimmer? Creative Audio is proud to be Winnipeg's authorized dealer for Control4. If you would like to buy this product, or would just like more information, we would love to hear from you! Please fill out the form below and press Send, and one of the Creative Audio team will be in touch with you shortly. Thank you for your interest in the Control4 Wireless Adaptive Phase Dimmer! One of our team will be in touch with you very soon.